OPMS can buy, but be swift..
FENDY75 Kaunter ni kalau beli esok pagi ok ka? FENDY75 Nak jual dulu SAPNRG? tonyneo1234 hv somebody inside to draw high the price? 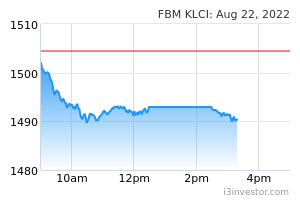 BlueLady Expected target price RM0.28, moving up gradually for all to see. OneTwo Shoppee today will close at 0.235 if my prediction is right..
viper88 Big shareholders keep disposing their shares..
Cyphuell Azm Oversold. For quite a long time. dompeilee Bought Eastlnd @ 16c this morning. kiasu_trader Once 0.170 break will head to 0.200. Come lets break it !! ran777rpt Looks like can move.Quite bullish. commonsense First of all, the market cap in i3 for this company is wrong. There is an error in the shares outstanding amount. It should have been 245.7mil shares and not 8.47bil. Market cap should have been only RM24.6mil and not RM890mil as what is shown in i3. Please take note. That being said, this is still a loss-making property developer and hospitality company with total loss of RM8.8mil in FY18. The company is facing some liquidity issues to fund their operations and any new property development. As of Dec 18, the company has a cash reserve of only RM5.8mil but a near term debt obligation of more than RM30mil. The outlook for their hotel business in Kota Bahru, Kelantan is expected to be challenging in FY19 due to the opening of new competitor’s hotels in the area. New property development will only be made upon the improvement of the property market which might not be immediate. Investors need to be prepared for another loss year in FY19. birkincollector today got action....eastland main developments are in kota bahru wor....next week up up up!